Thanks to the generous support of our partners, NABJ members who pre-register by Monday, April 29, at 5 p.m. ET/2 p.m. PT for #NABJTechTrek will have their registration fees waived. Members must login using their membership access information to register for this event. 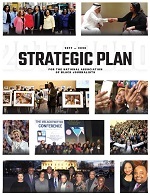 NABJ is gearing up for its inaugural Tech Trek in the Silicon Valley. 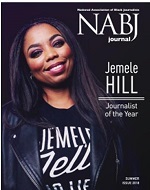 NABJ will host industry leaders and journalism students to produce news that fosters innovation and diversity in emerging technology and build meaningful sources for accurate reporting. Head to Silicon Valley for tech campus visits from 7:30 a.m. - 6 p.m. at Apple, Facebook and many more, followed by an evening reception. Head to the San Francisco area for digital newsroom visits from 7:30 a.m. - 6 p.m. at The Athletic, NerdWallet, LinkedIn Uber and many more, followed by an evening reception at Outcast. Head to Medill School of Journalism for presentations, trainings, and networking sessions from 8 a.m. - 6 p.m. by Reveal, ION 360, WIRED, Design at Apple, Swaay App, Madia, Kai Frazier and many more, followed by an evening reception. * If you pre-registered prior to April 23, your registration fee will be automatically refunded to the original method of payment. If you have any questions regarding refunds, please contact Veronique Dodson at 301-405-0554 or vdodson@nabj.org. For questions regarding your registration, please contact our registrar membership@nabj.org or 301-405-0554 between the hours of 9:00 a.m. and 5:00 p.m. EDT, Monday – Friday. The hotel discounted group rate has passed. to negotiate the best available rate with the event manager. Custom partner opportunities are available. To discuss your options, reach out to Kaylan Somerville, NABJ Development Director, at ksomerville@nabj.org or 301-405-6986.